Your MIU is the smallest piece of content that tells a complete story. Any online publisher who doesn’t bother to understand and identify their MIU will fumble trying to build a successful premium membership website. The MIU for any publisher depends on where a publisher’s content originates. If the publisher creates sewing patterns, the pattern would be that company’s MIU. All other content derives from the MIU. If a publisher writes recipes, again the recipe would be the MIU. The trick is to deliver that piece of content to your audience in a way that is simple, functional and convenient for users, and that also drives revenues and satisfies your business goals. That’s why membership website publishers must build their websites to best deliver their content. It’s what users expect, and if you keep them happy, your bottom line will be healthy. If you try to conflate different characteristics of membership websites with, say, those of an event website, you’ll annoy your users and revenues will decline. And in the end, that’s why we focus so much attention on information architecture. No matter how impressive your design, if the site doesn’t serve readers the way they expect it to, contribute to audience development, and make it easy to sell premium products, you can’t succeed. Once you’ve discovered your MIU, learn how to price your membership website when you download How to Use Contrast Pricing to Increase Subscription Revenue for FREE today. 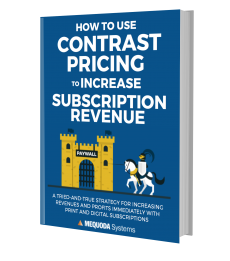 How to Use Contrast Pricing to Increase Subscription Revenue will show you how you can turn print subscribers into more profitable digital subscribers. Download it today. 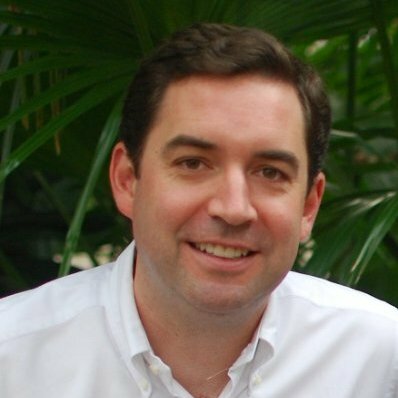 If you’d like to discuss how we can help you increase your audience, revenue and profits please reach out to schedule a no obligation chat with a member of our executive team. Tagged with content, contrast pricing, digital dollars, digital magazine, digital magazine subscriptions, digital magazines, digital subscribers, digital subscriptions, email, email capture, email newsletters, high quality content, information product, magazine, magazines, membership website, Membership Websites, mequoda, minimum information unit, multi, multi-platform, multiplatform, multiplatform publishing, newsletter, online publisher, publishers, sell magazine subscriptions, subscription publishing, subscription revenue, subscription website, subscription website publishers, subscription websites, subscriptions, tablet, web magazines, website publishers, website traffic.